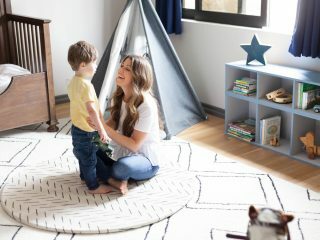 Love + Kind Wrap Skirts: Spring is the best time of year to whip out a new fancy skirt – but it can be frustrating when you’re postpartum to figure out which size you are. Worry no longer, mamas, we have the perfect solution. We’ve written about our love for Love + Kind before, and we’re back to share our Springtime fashion secret: the Love + Kind skirts for every day wear. The Love + Kind wrap skirts are made from an amazingly gorgeous heavy material so they cover every lump and bump on your postpartum body. Plus, they are beyond beautiful with their unique prints. Love + Kind was founded by Danielle Camastra, whom went on a well building trip to Tanzania and was deeply moved by all of the communities she visited; upon her return, she wanted to share all of the beauty from Tanzania with the world. Love + Kind believes that “every skirt has a magical quality and people are drawn to the love and passion with which they were made,” and it’s not hard to fall in love with these beyond gorgeous skirts! Each skirt is one-of-a-kind made from local fabrics and created by Tanzanian artisans. 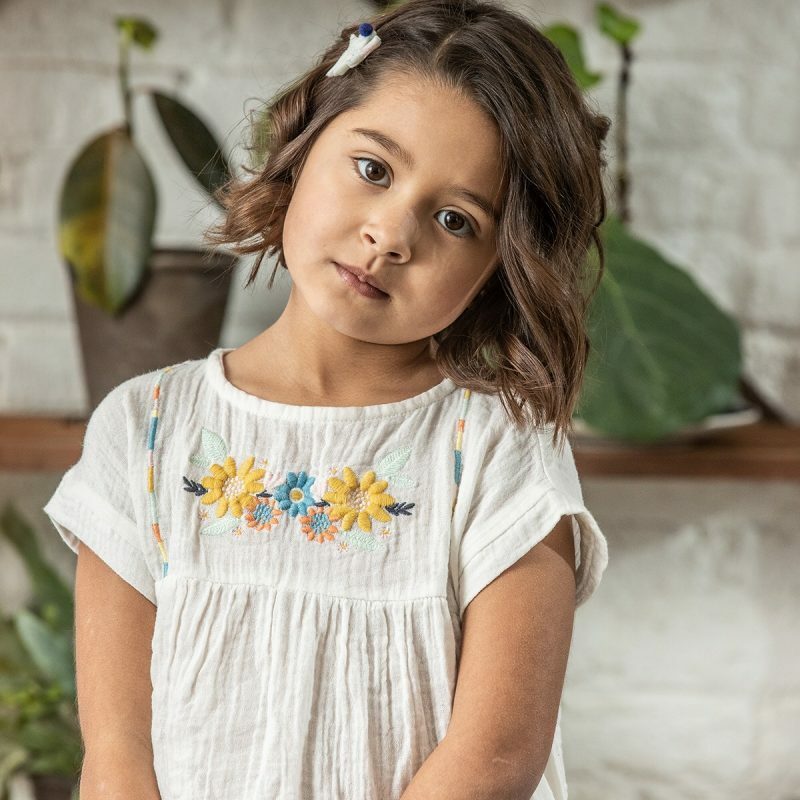 June & January Romper: Summertime is the best time for toddlers and kids to run around in the backyard and on weekend adventures; we’re pretty confident this retro-inspired June and January romper will be a summer wardrobe staple for your kid. Coming in a huge variety of prints and colors, this romper is a gender neutral fit, so both boys and girls can suit up for summertime. Plus, it comes off and on with snaps at the shoulders, making it easy for bathroom access. 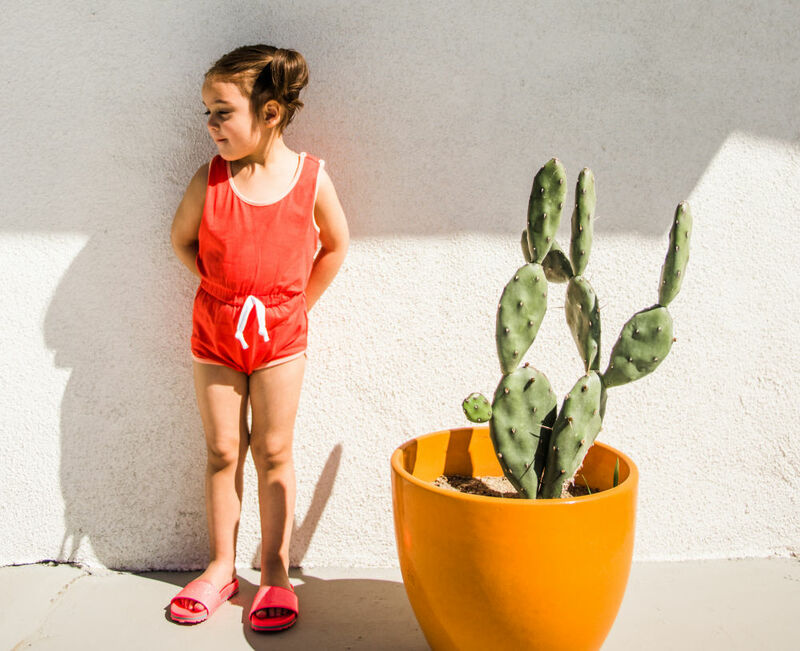 The romper is available for babies to 4 year olds and makes packing for summer adventures a cinch – one romper and they’re ready to go! Use code GUGUROMPER for 15% off your romper purchase! Mountain Buggy Duet Luxury Stroller: Why not stroll in style this Spring season? 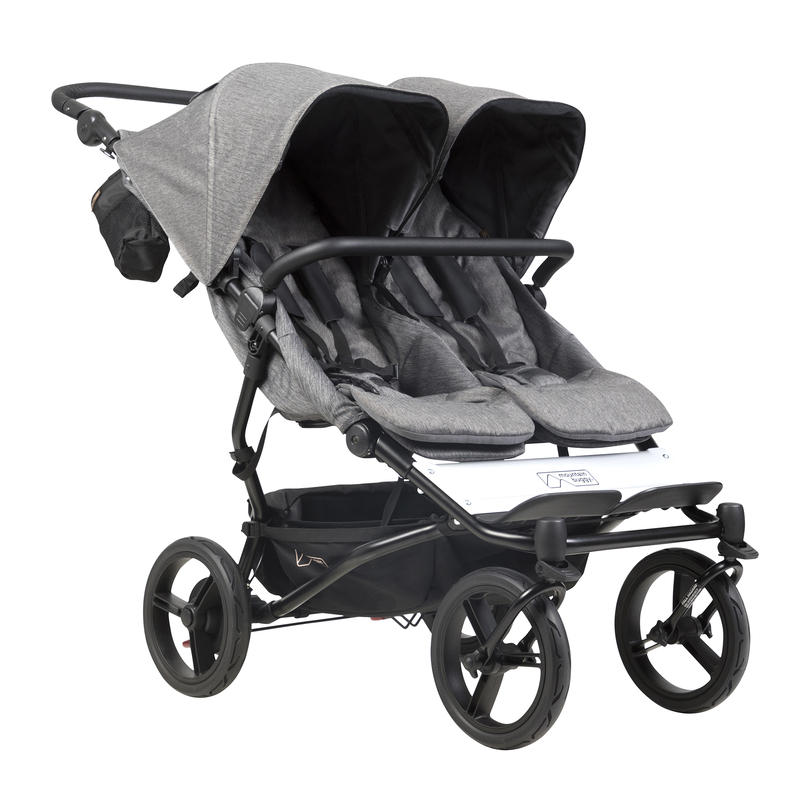 Check out the gorgeousness of the Mountain Buggy Stroller; this is the Duet Luxury in Herringbone and it is luxurious and beautiful! 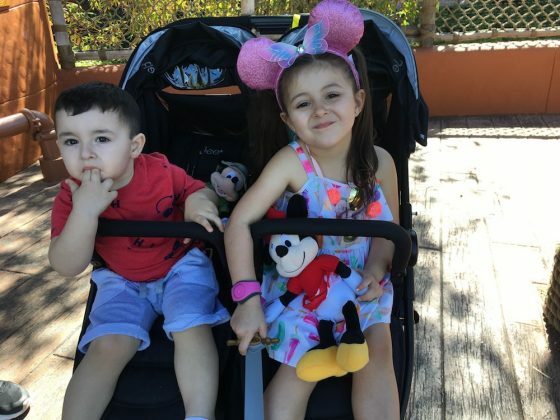 Interestingly enough, the Duet Stroller is the slimmest double stroller on the market, it’s even slimmer than some single strollers! This is an all terrain double buggy stroller which can go from the city streets to the weekend hikes. If you’re looking for style in your stroller, you have to check out this Duet which features twill fabric and black leather accents, which give this Duet a classic and tailored look, perfect for the mom that loves the simple yet classy look. In terms of the double stroller accessibility, this makes a perfect baby shower gift for the second time parent, as there are a ton of seat options which are ideal for a newborn and a toddler, as well as ideal for parents of twins! If you’re an urban parent, you’ll need to check out the Duet for it’s slim frame and ability to be folded up easily. And, to add to the luxe dynamic, this luxury stroller come with Aeromaxx wheels (enjoy the ride of air filled but without the maintenance), a matching diaper bag, and changing mat, and a 3 year warranty! Style and function are perfectly joined with the Mountain Buggy Duet Luxury Stroller. ergoPouch: If you’re looking to switch up your little one’s sleep clothes for spring, check out the ergoPouch Sleep Suit bags; they are made from breathable natural products, so they are ideal for springtime, and the organic cotton is always soft on baby’s skin. ergoPouch products are rated to measure thermal resistance for different seasons, and we recommend using the 1.0TOG Drops Sleep Suit Bag – we love their new Nature Collection that’s inspired by the Australian landscape. You’ll want to cuddle up with baby wearing their ergoPouch Sleep Suit as it’s made from 400+ thread count organic cotton and features stretchy side panels for easy movement. Keep baby a perfect temperature while feeling cozy this summer in their ergoPouch Sleep Suit. 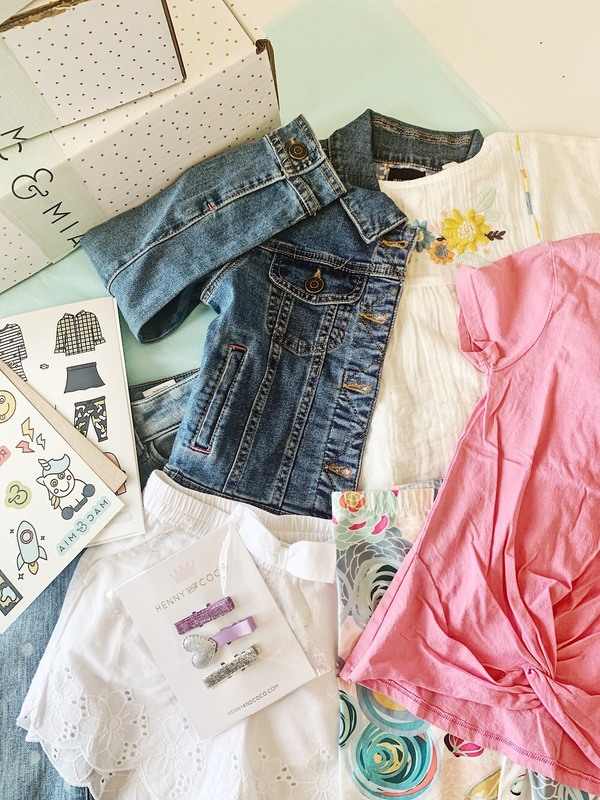 Mac + Mia: Is there anything more fun than picking out new clothes for your little one? We love it too, but it can be hard to get out of the house and get new and fun clothes sometimes! 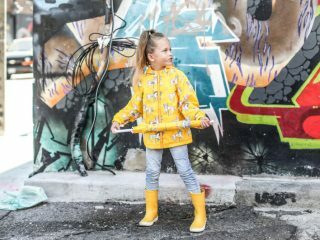 We’re huge fans of Mac + Mia, a unique way to shop for clothing and accessories for your kids from home. How does it work? First you take the style quiz (and we’re big fans of quizzes here!) 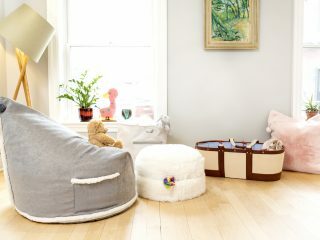 and give info for your stylist to curate a box for your child. Your stylist will get in touch with you and you can communicate with them to get pieces you need – so cool! Your stylist will send 8-12 handpicked pieces from boutique brands, brands you may not have known of otherwise. The cool part is you only pay for what you keep and there’s free shipping both ways! You can personalize your box with your stylist to fit within budget and types of pieces, too. They carry over 100 brands for babies and kids, so you know you’re getting some very unique and different items than you’d get in store. Not a fan of subscription boxes? Just do it when you want – you are not required to sign up for monthly boxes, just order when you need. Sounds cool, right? Give it a try for your little’s birthday, or this makes an ideal baby shower gift too! 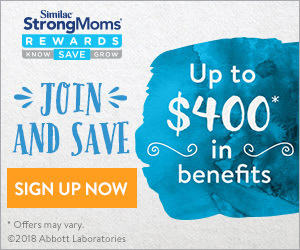 New customers can go to this link and receive $20 credit to your account, or head to their website and enter code ASHLEYE for a $20 credit. BAEBI INOMI carrier: Springtime is about getting outside for walks and adventures, which are significantly easier when you’re babywearing. How do you step out in style while babywearing? By choosing an INOMI carrier. 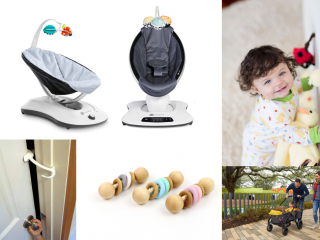 BAEBI is the modern gear brand for the modern parent; their goal is to elevate baby gear by creating high functioning items which won’t compromise your personal style. 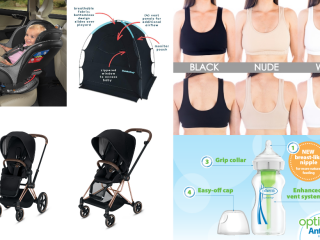 This carrier has many unique features, such as the detachable clamshell which makes transitioning a sleeping baby much easier, and quilted fabric to keep you and baby cool. A huge win for parents is the fact that the INOMI carrier has more pockets than any carrier on the market; it has 4 pockets, and even room for a diaper, so you can head out on the town and not worry about carrying every little thing. There is no newborn insert needed, so you can start babywearing from the get-go. 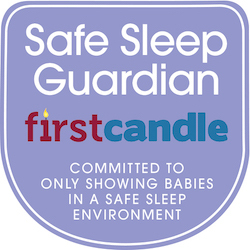 Plus, the carrier is made from OEKO-TEX certified premium cotton, so any fabric close to your baby is safe for even the littlest of babes. 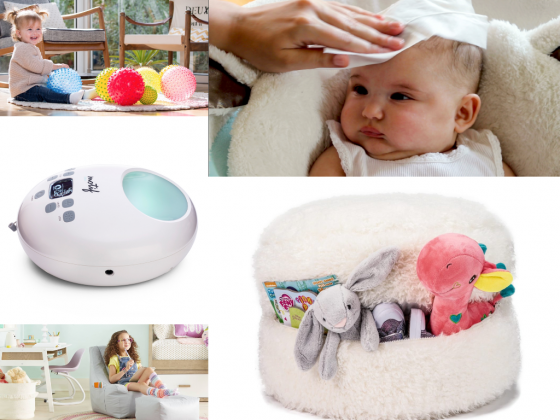 The INOMI carrier is an ideal baby shower gift for any fashion forward parent in your life. 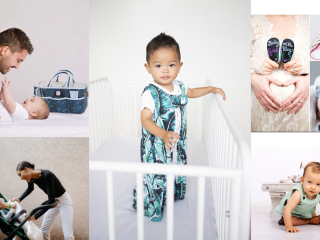 Thank you to ergoPouch, Mac + Mia, Love + Kind, BAEBI, Mountain Buggy, and June + January for making this sponsored post possible! We are so appreciative!